The amount of technology and specs that you can get for less than $200 nowadays is staggering. Do you remember when we were gushing over quad-core processors and 720p displays in flagships that cost over $600 and $700? Well, now those specs count in the lower end of the smartphone market, or at best the lower midrange. 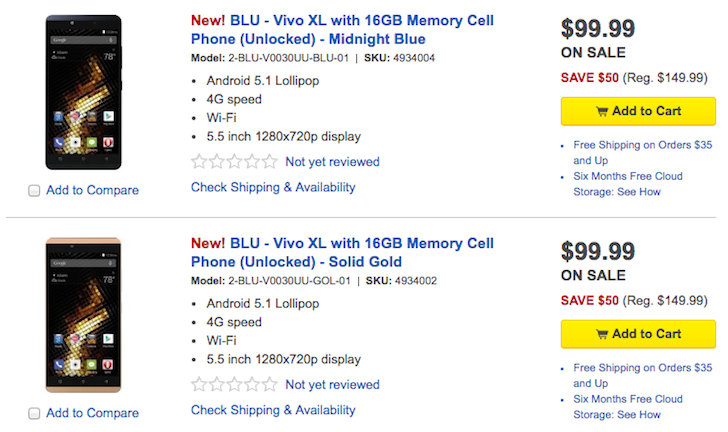 Take the BLU Vivo XL for example. It was just announced at CES at the beginning of the month.